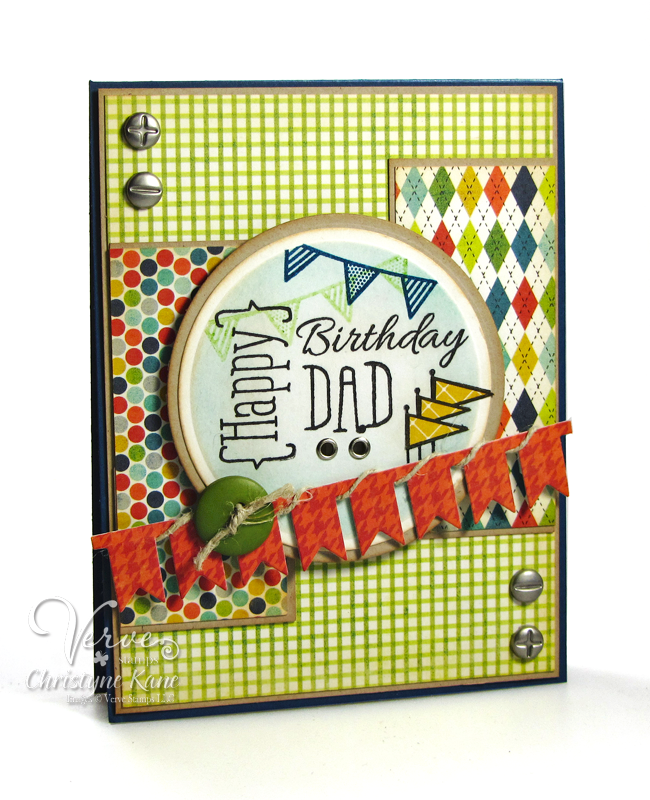 This month we're daring you to create a stamped card or project with a masculine theme. For my masculine themed card, I decided to pull out the new Wonderful Marvelous set and play with some more word combinations. I went a bit crazy adding pennants, banners and such, but it's a Birthday card so I could leave it feeling drab! In line with this banner theme, I dusted off the Pennant Trim die and embellished it with some twine to satisfy the horizontal element of this week's Mojo Monday sketch (#350). 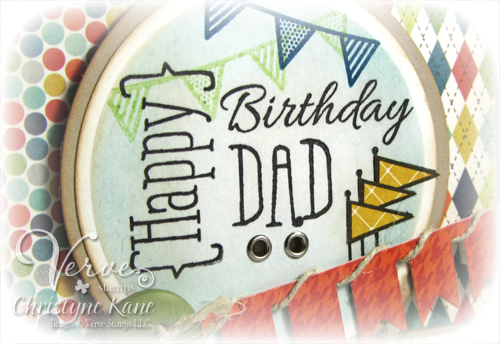 Some light distressing with a little ink and it's all ready for an upcoming masculine birthday! Win a $40 gift voucher to Verve! Take our A Man's World dare and link up your card to be eligible to win. Entries must be masculine in theme, posted 6/6 or later, include at least one Verve product and be linked up to the linky widget by 8pm Mountain on 6/25/14. One participant will be randomly selected to win the gift voucher. You can enter as many times as you like, but each card needs to be in a separate post. Win a Verve set of your choice! 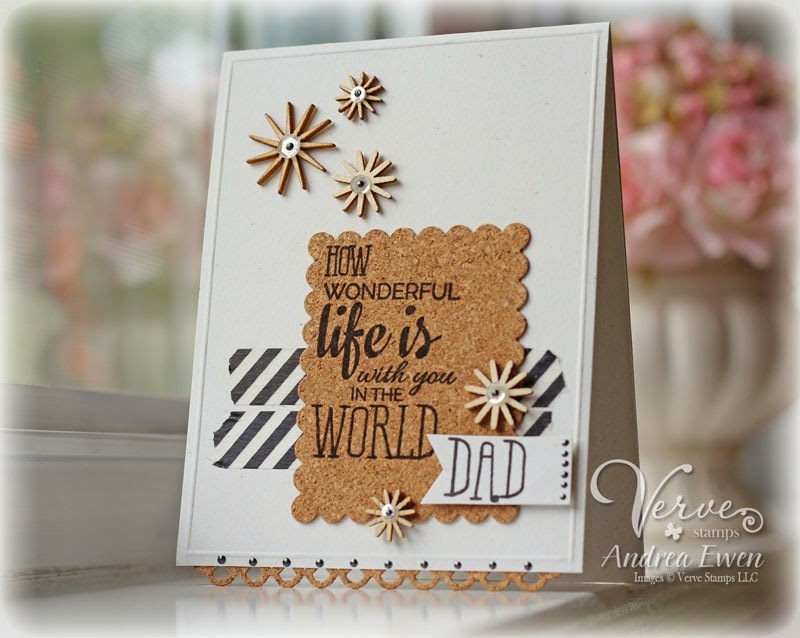 For another chance to win some new Verve, leave a little comment love on our design team's A Man's World Diva Dare posts! One lucky commenter will win a Verve stamp set of his or her choice, so be sure to tune in each day! Comment deadline to be entered in our prize drawing is June 25, 2014. Winners will be announced on June 26, 2014.